It's Our Birthday, Come Celebrate With Us!! 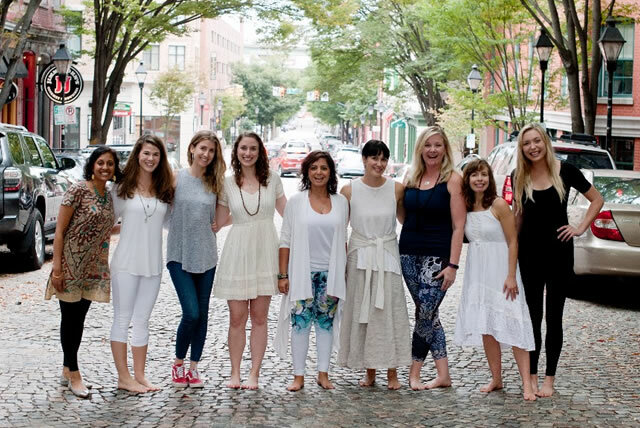 As Shockoe Slip Yoga prepares to celebrate our big 5th anniversary this November, we’d like to take a moment of gratitude: gratitude for YOU, our amazing yogis, without whom this anniversary wouldn’t be possible. 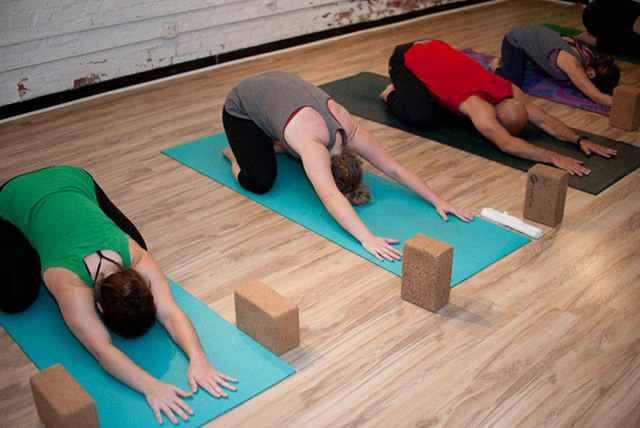 Shockoe Slip Yoga thrives through the support of our amazing clients, and we can’t tell you enough how much we love seeing you on your mat, each and every time you share your practice with us. So, as a big thank you to all our amazing, supportive clients, we’re offering a Shockoe Slip Yoga Five Years Anniversary Special. From November 3 through November 10, our yogis and their friends, family and neighbors can attend any or all of our Five FREE classes, plus purchase our Five Years Anniversary Special package (5 classes for $25)*. We hope this gives you even more reason to come practice with us, as we celebrate this milestone in the SSY community. Happy summer, Shockoe Slip Yoga family! Our Shockoe Slip 200-Hour Hatha Yoga Teacher Training is back for a second year, and we cannot wait to welcome another group of aspiring yoga teachers into our space! Led by SSY instructor Kate Ainsworth (SPT, E-RYT 500, YACEP) and Syd Collier our 200-Hour Hatha Yoga Teacher Training includes one 4-day immersion and a series of weekend intensives that will blend traditional yoga teachings, modern evidence-based techniques, a physical therapist’s perspective, and plenty of time for self-empowerment, introspection, and discovery. If you’ve ever thought about broadening your practice and sharing it more deeply with others, this is definitely an opportunity you don’t want to miss! Visit: Teacher Training to learn more and apply. We kick things off with our 4-day immersion on July 12th, so be sure to sign up soon! We’re also getting closer to our biggest adventure of 2018: Our Relaxation + Friendship Retreat on the Amalfi Coast of Italy is steadily approaching, and we want you there with us! The Amalfi Coast is the perfect place to escape the hustle and bustle of your daily life—practicing yoga alongside spectacular views, meditating to the natural soundtrack of the Gulf of Salerno, and soaking up plenty of southern Italian sunshine. How can you resist? 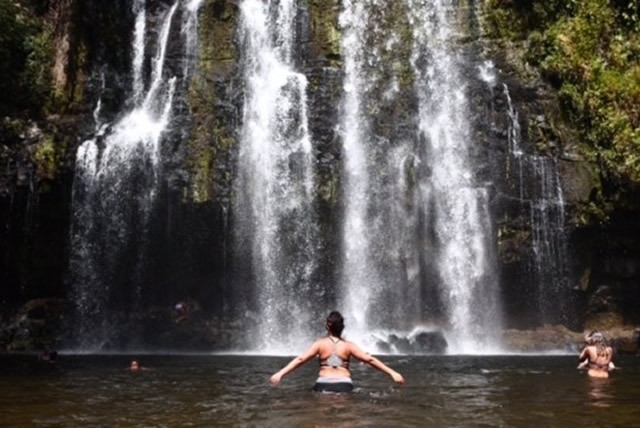 Head over to Truenaturetravels.com to learn more! Finally, if you’re looking to spend more time on your mat this summer (and aren’t we all?) be sure to take advantage of our Summer Special. That’s 10 classes for $100 (aka: $10 per class.) You seriously can’t beat that! Click here to sign up. We can’t wait to see you on your mat soon! Yogi, When Was The Last Time You Tried Something New? Whether you’re new to yoga or have been practicing for years, chances are you’re always learning something new on your mat (that’s the goal, at least!) Discovering a new pose, finally finding that tricky alignment you’ve been looking for, or discovering a hidden corner of your mind you never even knew existed. At Shockoe Slip Yoga, we love taking our yogis on adventures, and inviting all of you to try new things with us! This month, our Chase Adventure event series is kicking into high gear, with our first Yoga & Ride of the 2018 season! 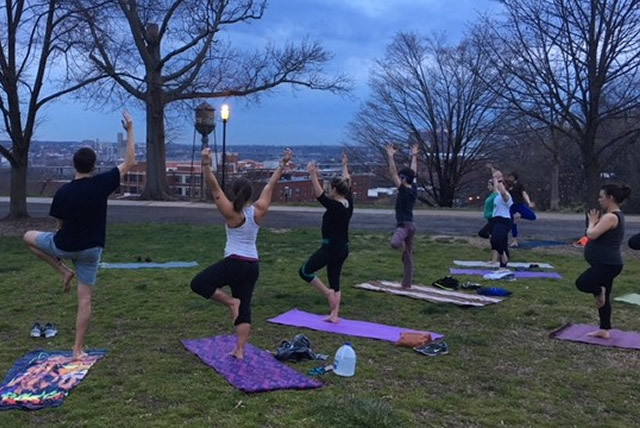 Join Shockoe Slip Yoga and Basket & Bike at Upper Shirley Vineyards on April 22 (Earth Day!) as we spend the morning practicing yoga along the James River, followed by a an hour-long bike ride along the Virginia Capital Trail, before concluding with an optional lunch and complimentary glass of wine at Upper Shirley. Your yoga class, bike rental, lunch, and wine is included in the $95 cost ($85, without lunch) and we cannot wait to see you there! Head over to our Chase Adventure Event page to reserve your space now! Last (but definitely not least!) don’t forget about our SSY 2018 highlight: our Chasing Adventure On The Amalfi Coast: Relaxation + Friendship Retreat! We’re just a few short months away from our week of fun, sun, friendship, and yoga, and we would love to have you along for the ride! Learn more and sign up! If you haven’t already heard, our Shockoe Slip 200-Hour Hatha Yoga Teacher Training is back for a second year, and we can not wait to welcome another group of aspiring yoga teachers into our space! Led by SSY instructor Kate Ainsworth (SPT, E-RYT 500, YACEP) our 200-Hour Hatha Yoga Teacher Training includes one 4-day immersion and a series of weekend intensives that will blend traditional yoga teachings, modern evidence-based techniques, a physical therapist’s perspective, and plenty of time for self-empowerment, introspection, and discovery. If you’ve ever thought about broadening your practice and sharing it more deeply with others, this is definitely an opportunity you don’t want to miss! Visit: https://www.mindfulness-bar.com/teacher-training/ to learn more and apply. We’re also offering Friday Open Classes, starting April 6! This one-of-a-kind 75-minute class begins with a led warming flow, and then provides space for a self-paced, open practice (with your instructor nearby to answer any questions or offer any tips!) We’ll end by gathering together for savasana, breath work, and a meditation. You’ll love this one, we promise. Finally, we know you haven’t forgotten about our biggest adventure of 2018: Our Relaxation + Friendship Retreat on the Amalfi Coast of Italy is steadily approaching, and we want you there with us! The Amalfi Coast is the perfect place to escape the hustle and bustle of your daily life—practicing yoga alongside spectacular views, meditating to the natural soundtrack of the Gulf of Salerno, and soaking up plenty of southern Italian sunshine. How can you resist? Head over to http://truenaturetravels.com/retreats/yoga-italy-rose/ to learn more and sign up now! With the Persian New Year, or Nowruz (which beautifully translates to “new day”) just around the corner, we’re in the spirit of celebrating a fresh start at Shockoe Slip Yoga. This time of year in the Persian calendar is a great reminder that ANY day of the year can be perfect for a brand new start—transitions, transformations, and exciting resolutions don’t always arrive on an exact schedule, after all. Speaking of brand new starts, we’ve got a brand new class for you this month! In honor of both the Persian New Year and the Spring Equinox, Rose will be hosting her new signature class! This special Persian Flow is designed to help you leave all those wintertime vibes behind by grounding you in the spirit of reawakening and guiding you through a series of poses that will open up and invigorate your heart and throat chakras. This upbeat, all-levels Vinyasa flow will start with an introduction to the traditional festivities of the Persian New Year (including a fun, one-of-a-kind Persian music playlist!) followed by a mindful grounding, and some deeper heart and throat chakra work. The world comes alive in the springtime, and this class is guaranteed to increase your vibration and liven up your spirits as well. We’d also like to remind you of another special event we’ll be hosting later this year. If one of your personal goals for 2018 is to step outside your comfort zone and add a little adventure to your regularly-scheduled life, it’s the perfect time to check out our Relaxation + Friendship Retreat on the Amalfi Coast of Italy! During six days in October, we’ll share yoga practices and explore Italy together, getting to know one another and taking time to reconnect with ourselves. You’ll find new friendships, take time for some self-care, fall in love with your yoga mat all over again, and leave Italy feeling refreshed, reenergized, and restored—consider this another invitation for a fresh, new start! Learn more and sign up. …With those New Year’s resolutions, that is. 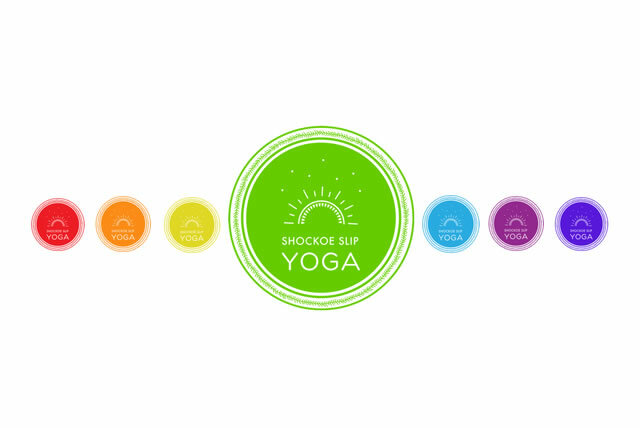 Welcome to March, Shockoe Slip Yoga family! And with whispers of spring just around the corner, now is a great time to do a little check-in with yourself: how are all those New Year’s resolutions you set going, anyway? Have you been sticking to them, or are you in need of a serious resolution reboot? If (like most of us) many of those resolutions have fallen by the wayside, you’re in luck: the Persian New Year, or Nowruz (which actually translates to “new day”) is this month—and it’s your gentle reminder that ANY time of year can serve as a brand new start. 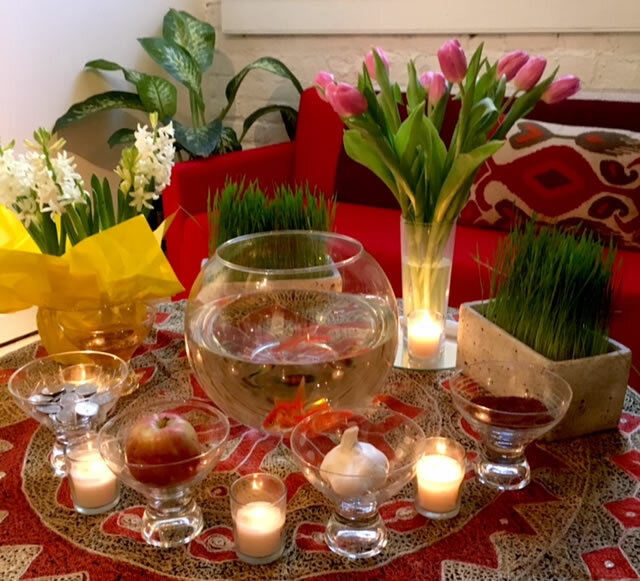 Nowruz has been celebrated for over 3,000 years in Western Asia, Central Asia, and beyond—marked by the vernal equinox (aka: the beginning of spring in the Northern Hemisphere), and is the first day of the Persian calendar. At SSY, we can’t wait to share this special tradition with you. One way we’ll be celebrating the Persian New Year and the Spring Equinox is with a special “Persian Flow” —Rose’s brand new, signature class! Keep an eye out for more details, and be sure to mark your calendar for Tuesday, March 20 now. In the meantime, you can join us as we return to Upper Shirley Vineyards for the first time this year! On Sunday, March 18, from 10:00 – 11:00 AM come re-center yourself, reboot your nervous system, (and maybe even reset a resolution or two) with our special 60 minute yoga practice outdoors on the beautiful riverfront of Upper Shirley Vineyard. Yoga at Upper Shirley Vineyard will include an all-levels flow complete with heart-opening backbends and lots of hip softening. There will be lots of modifications for those new to the practice or those with injuries. Be sure to join Rose for practice then stay for lunch and or a glass wine! For more info, and to sign up, visit: www.shockoeslipyoga.com/workshops-and-events. Yoga can set the tone of your day, whether you’re using it to wake up in the morning or wind down in the evening. It creates a space of mindfulness for approaching the day’s challenges and allows time to process and reflect on the events of your day. Yoga invites you to reconnect with yourself. Maybe you’ve heard your instructor say something like: “Be present on your mat” or “Take this time to turn inward”—these are all invitations to listen to your breath, your body, your mind, and your spirit. Yoga helps you separate from the ego. Have you ever found yourself struggling with a yoga pose that usually comes naturally to you? Maybe your normally-solid balance feels off one day, or your typically-open hamstrings have suddenly tightened up. This is yoga reminding you to check in with yourself—and your ego—and to embrace the natural rhythms of your body, the highs and lows of the time you spend on your mat. Yoga promotes intention-setting and manifesting. You don’t have to wait for your instructor to invite you to set an intention for your practice; make this a regular tradition every time you step on your mat. Intentions like: “I want to feel joy” or “I recognize the unique beauty of my body” or “I use this time to generate love” can completely change the way you practice—and the way you feel once you step off your mat! Yoga can put things into perspective. When you’re on your mat, you’re left with yourself: your breath and your body. You’re taking 60 or 90 minutes out of your day to live movement by movement, breath by breath. Practicing embracing the moment on your mat can help you to embrace each moment off your mat as well. One great way to practice a little self-love this month is by getting more rest as well. Our Restorative Yoga + Yoga Nidra is the perfect practice for rebooting your nervous system, facilitating softening in your body, and allowing you time to truly rest. Join us on Sunday, February 25 from 2:00 – 4:00 PM for a practice filled with restorative poses safe for all students, breathing techniques, mindfulness techniques, hands-on body realignment, and a yummy Ayurvedic tea treat. Namaste, yogis—and hey, have we mentioned lately that we totally love you? Hey Yogi - How Are Those Resolutions Going? By mid-January, plenty of people—yogis included!—have lost track of their New Year’s resolutions. (And between recovering from the holidays and freezing temperatures that only make you want to stay curled up indoors, we don’t blame you.) If one of your 2018 resolutions was to be a little more gentle with yourself, now is a great time to tap into that intention—and if it wasn’t, consider adding it now. You deserve it! If you’ve let go of a few—or hey, even all—of your New Year’s resolutions by now, it’s easy to get frustrated with yourself. And believe me, we’ve all been there. But the key is to forget about feeling guilty or being hard on yourself for being a “quitter”, and simply un-quit! So you let go of your resolution for a week or two (or, ehem… three). There’s nothing stopping you from picking it right back up now! Whether you resolved to meet all your deadlines this year, spend more time with family, reconnect with your yoga practice (at Shockoe Slip Yoga, we’re partial to that one), or something else entirely, now is a great time to check in with yourself, celebrate what progress you’ve already made, and hit the resolution reset button. And hey, we’ve got the perfect event to help you get there. We want to help you meet all your resolutions, and have the absolute best 2018 ever. So this month, we’re offering an intention setting workshop you’ll definitely love. Join us on Sunday, January 28 from 2:00-3:30 PM for The Power of Intention—an opportunity to reflect on the lessons you learned in 2017 and tap into the guidance of those lessons, moving forward. After two months of good food, good people and good vibes that come with the holiday season, now is a great time to reflect on the start of a new year, and to embrace a new cycle. Consider this your fresh chance to set (or reset!) goals and meet them in order to grow, evolve, and heal. This workshop will incorporate movement, meditation, and written reflections—and it’s the perfect way to cap off the first month of your new year. Learn more and sign up here! Namaste, yogis. We can’t wait to see you on your mat soon. Happy New Year Yogis - And A Heartfelt Thank You! From the bottom of my heart, I’d like to thank you for the amazing 2017 we enjoyed at Shockoe Slip Yoga—practicing together, playing on our mats, and chasing adventure from Richmond, Virginia all the way to Playa Grande, Costa Rica. In just the past 12 months we launched our Chase Adventure event series, which took us on excursions across Richmond and deepened our connections with our practice. 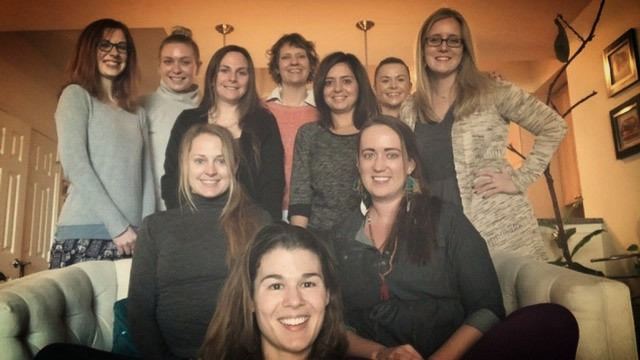 We formed an amazing community of friendship, fun, and female empowerment on our Strength and Relaxation Retreat. We graduated our second class of 200 RYT yoga instructors. We opened our SSY “Take A Book, Leave A Book” Free Lending Library (be sure to check out our shelves the next time you drop in!). And we hosted dozens of events and workshops that brought us to our mats and deeper into ourselves. And we couldn’t have done any of it without YOU, our beautiful community of yoga lovers. Now, as we enter our fifth year of SSY, I can’t wait to share everything we have in store for you next—and stay tuned, because it’s a lot! With the fresh start of the new year, now is a great time to revisit the basics of your practice—both what brought you to your mat in the first place, and the foundations of yoga itself. Fresh beginnings are a great time to look at your practice with a beginners mind! In that spirit, we’re kicking off 2018 with Foundations of Yoga: Awareness in Practice, a donations-based workshops series designed to explore foundational practices in yoga which facilitate the expansion of awareness and free flow of energy in body and mind. Each class — perfect for both new and seasoned yogis — will be themed to direct awareness, promoting deep connections, and featuring physical postures, breath practices, and meditation. These 75-minute workshops will be held every Sunday from January 14th – February 25th. Sign up now! If you’re up for a little adventure this month, our all-levels Acrobatics Workshop might be exactly what you’re looking for! Join instructor Caroline Stiller on Friday, January 12 from 6:15-8:15 PM, where you’ll will be guided through a long warm up, then continue with intricate acrobatic tricks, poses, and partnering (with plenty of instructor spotting as well.) You can expect to work on your body awareness and coordination, stretch deeper into positions, and strengthen your body. Finally, I’ll remind you about an SSY 2018 highlight: our Italy retreat! Don’t forget to sign up for Chasing Adventure On The Amalfi Coast: Relaxation + Friendship. You have until April 1 to take advantage of our lower rates, so be sure to click here to learn more and sign up! First on the list is our 2018 New Year, New You holiday special. Between now and December 31st take advantage of our 2018 Resolution Package: 3 months of unlimited yoga for just $89 per month! You can also enjoy 10 classes for just $99. These are some of the best rates you’ll see all year, so be sure to drop by the studio or head over here to purchase your 2018 Resolution Package now! We’re also rounding out this year with a schedule packed full of can’t-miss events. First on the list is our Winter Solstice practice. Join us on December 21 for a donation-based 75-minute practice designed to welcome the transition of seasons, uplift your spirits, and balance your energy. We’ll combine asana (postures) and pranayama (breathwork) to soothe your body, mind, and nervous system. After class, be sure to stick around for our holiday party and potluck! On December 31, we invite you to close out 2017 with love and light at our New Year’s Eve Candlelight Vin/Yin. Pause amid the hustle and bustle of the holidays to reflect on the accomplishments of the past year—ultimately letting the past go and welcoming the new year with receptive anticipation. We’ll start with a candlelight Vin-Yin Flow (30-minute Vinyasa, 30-minute Restorative) followed by a brief meditation. Finally, kick off your New Year (and that resolution to practice more yoga in 2018!) right, with our New Year’s Vinyasa Flow on January 1. Join us for a 60-minute New Year’s Day Morning vinyasa flow and intention setting practice—reflecting on what the previous year provided and what the new year will bring—followed by some light libations. Last but not least, make 2018 your best year of yoga yet by joining us in Italy, for our upcoming retreat: Chasing Adventure On The Amalfi Coast! Be sure to take advantage of our Early Bird Special by January 1! Visit: truenaturetravels.com to reserve your spot. We can’t wait to see you there. From our mat to yours, Happy New Year from Shockoe Slip Yoga! We’re wishing you your very best year yet. Each holiday season brings with it plenty of joy—and it can also cause its fair share of stress: searching for those perfect gifts, managing hectic holiday travel, keeping up with all the events and parties on your calendar, and more. With all the beautiful busyness the holiday season brings, you might be tempted to take a break from your mat. But, the holidays are even MORE of a reason to head over to Shockoe Slip Yoga, unroll your mat, and enjoy some much-deserved “me-time.” Yoga is proven to reduce stress, increase your sense of peace and calm, and improve your overall well-being—plus, a challenging Vinyasa Flow or a restful Yin class is a great way to release any travel-related physical tension too. Speaking of finding the perfect present for everyone on your holiday gift list, why not give the gift of yoga this year? 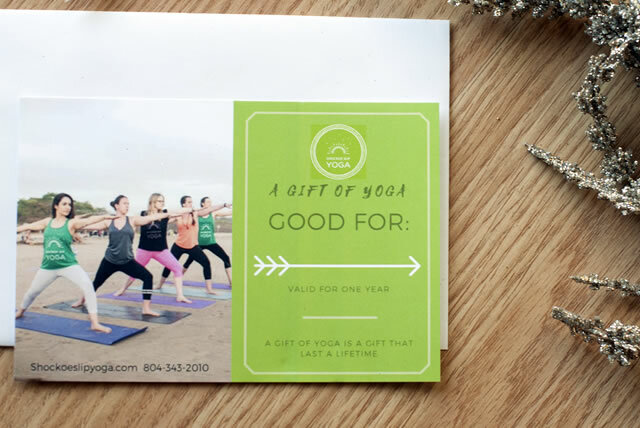 A Shockoe Slip Yoga gift certificate is a great way to share your love of yoga with family and friends, and we always love welcoming new members into our SSY family. We also offer massage services—and let’s be honest, everyone loves massages! This month, we’ve got a special event for you. On Thursday, December 21, join us for a donation-based 75-minute Winter Solstice practice designed to welcome the transition of seasons, uplift your spirits, and balance your energy. We’ll combine asana (postures) and pranayama (breath work) to soothe your body, mind, and nervous system. And after class, be sure to stick around for our holiday party and potluck! We’d also like to remind you that our upcoming retreat, Chasing Adventure On The Amalfi Coast, is fast approaching! Be sure to take advantage of our Early Bird Special by January 1! Visit: www.truenaturetravels.com to reserve your spot. We can’t wait to see you there. 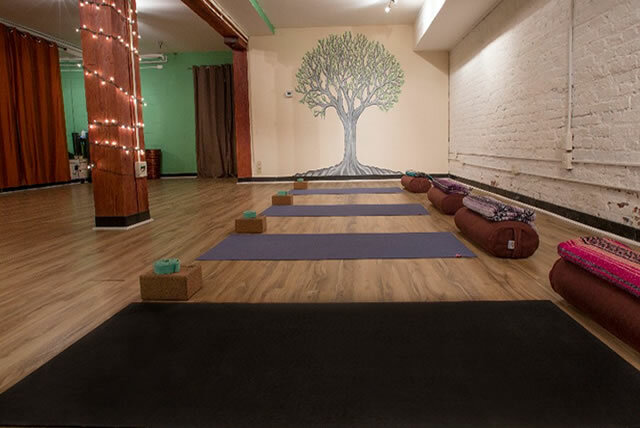 As we move towards the end of 2017 and into the holiday season, gratitude is definitely on our minds at Shockoe Slip Yoga — and practicing yoga can definitely help you beat stress and enter a space of thankfulness during the hectic holidays. Little things like taking time to find stillness, tuning into the natural rhythm of your breath, and moving your body in a way that feels good to you can all inspire gratitude and overall wellness. There are even yoga poses — like Ardha Chandrasana (Half-Moon), Virabhadrasana II (Warrior II), and Supta Virasana (Reclined Hero) — that can help you find strength and balance, open your heart, and inspire all kinds of yummy, thankful feelings. We’re also excited to offer a special Thanksgiving class, perfect for getting you moving and starting your holiday off right. Our Extended All-Levels Flow, taught by Leah Short, is designed to help you prepare for the holiday by energizing the body, opening the heart (and your hips! ), and clearing the mind. This extended practice will include a 75-minute all levels vinyasa flow, followed by a 15-minute gratitude meditation. As always, all yogis are welcome! Keep Going Yogis! We’re Half-Way There. As Shockoe Slip Yoga prepares to celebrate our 4th anniversary this month, we’d like to take a moment of gratitude: gratitude for YOU, our amazing yogis, without whom this anniversary wouldn’t be possible. 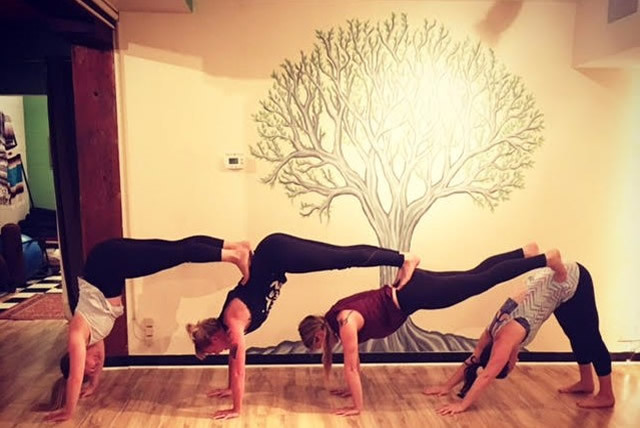 Shockoe Slip Yoga thrives through the support of our amazing clients, and we can’t tell you enough how much we love seeing you on your mat, each and every time you share your practice with us. 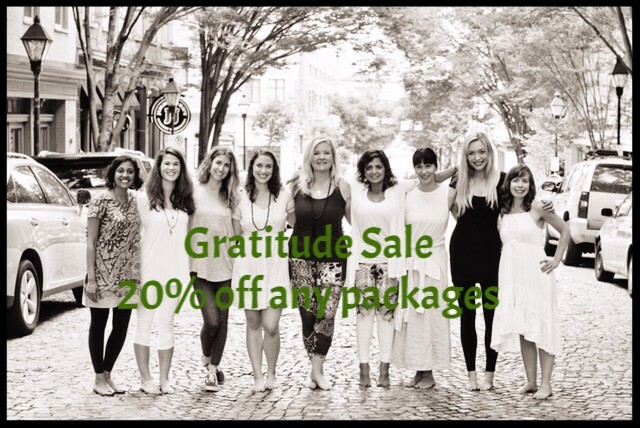 So, as a big thank you to all our amazing, supportive clients, we’re offering a Shockoe Slip Yoga Anniversary Special. From November 7 through November 10, our yogis will receive 10% off any class package. We hope this gives you even more reason to come practice with us, as we celebrate this milestone in the SSY community. But our 4-year anniversary isn’t the only thing we’re be grateful for this month! If you haven’t already heard, at Shockoe Slip Yoga we’re taking our mats on the road again — this time to the amazing Amalfi Coast of Italy! From October 6-13, 2018, join us as we chase adventure on the Amalfi Coast, during our Relaxation and Friendship Retreat. You’ll be invited to deepen your yoga practice, expand your horizons, and chase adventure on the gorgeous Amalfi Coast, known around the world for its breathtaking shoreline, irresistible cuisine, and Mediterranean vibes. 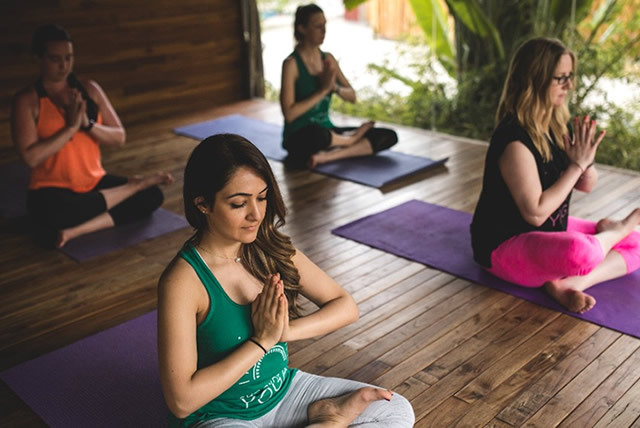 It’s the perfect place to escape the hustle and bustle of your daily life — and, you’ll get to practice yoga alongside spectacular views, meditate to the natural soundtrack of the Gulf of Salerno, and soak up plenty of southern Italian sunshine. Over the course of six days we’ll share in our yoga practices and explore Italy together, getting to know one another as well as taking time to reconnect with ourselves. Our hope is that you’ll find new friendships, take time for some self-care, fall in love with your yoga mat all over again, and leave Italy feeling refreshed, reenergized, and restored. And, as always, yogis of all levels, ages, bodies, and practice styles welcome. To learn more, visit SSY’s Chase Adventure link, as well as our retreat page on TrueNature Travels. Be sure to take advantage of our early bird special by booking before January 1. 30 Day Yoga Challenge, still going Strong!!! Yogis, we’re half-way through our 30 Day Challenge, and we’ve loved seeing so many of you make the daily commitment to deepen your practice and spend some extra time on your mat this month (and to be honest, we especially love seeing your smiling faces around the studio more.) If you’ve been dedicated to the challenge since we started, then you’re probably already seeing the benefits to your practice. But even if you’ve accidentally skipped a day or two here and there, don’t worry! Now, at our half-way mark, is the perfect time to recommit — and we’re here for you every step of the way. Finally, be sure to mark your calendars for a little happiness this month, with our weekend-long Happiness Program. Led by Shaphali Agrawal and in collaboration with Art of Living Richmond, come learn how a mix of yoga, breathing techniques, and meditation can raise the quality of your life. The goal of this nationally-recognized program is to teach you lifelong, do-it-yourself techniques for better mind/body health, stress-management in difficult situations, skills for forming deeper relationships, better overall contentment, and lots more. Join us Friday, October 27 to Sunday, October 29 for this life-changing workshop. To learn more visit: https://www.artofliving.org/us-en/program/146392. See you on your mat soon!! !